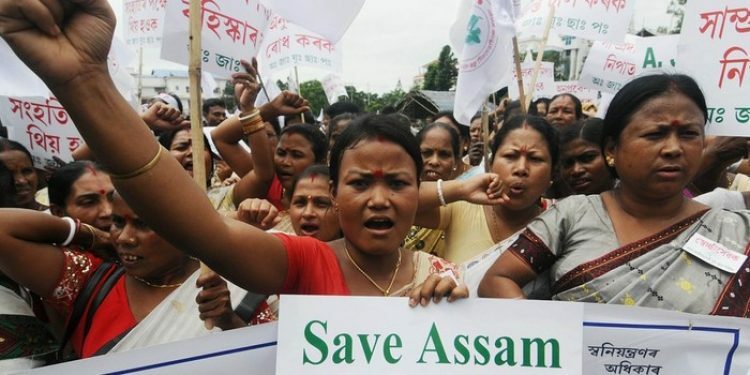 তেওঁ লিখিছে : Today, nine of Assam’s 33 districts have turned into Muslim-majority ones. The Hindu population in these districts as well as Muslim-majority pockets in other districts of the state has started registering a negative growth and that is cause for great worry and alarm. 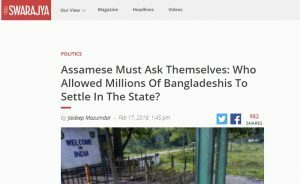 It is estimated that by 2025, half of Assam’s districts will become Muslim-majority ones, and most of these Muslims will be of Bangladeshi-origin or the progeny of the illegal Muslim migrants.